While some kids can eat chicken nuggets every day of the week, varying your child's menu regularly ensures he or she meets daily nutritional needs. It may be difficult to find dinners your child is willing to eat, especially for picky eaters. Finding other kid-friendly, nutritious dinner ideas makes it easier to get your child to branch out. Mild mini tacos are perfect for kids because they aren't spicy like regular tacos, and the smaller size is a perfect fit for little mouths. Brown ground beef in a sauté pan over medium heat. Return the beef to the pan. Add water, seasoning mix, and oil. Heat mixture over medium heat until it thickens. 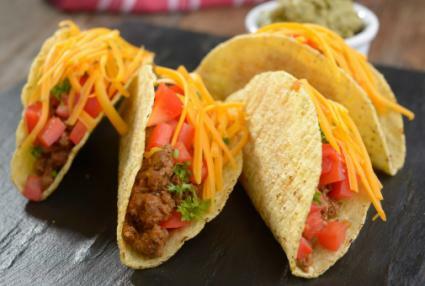 Fill (or roll) tortillas with meat mixture, cheese, lettuce, and tomatoes. 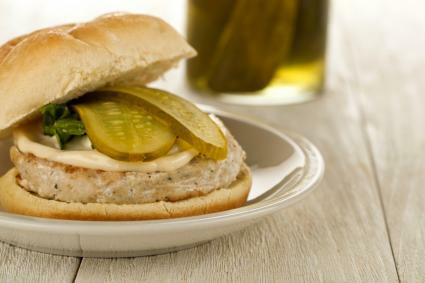 Kids will love these turkey burgers, especially if you cut them into fun shapes or make smiley faces with the ketchup. Plus, adding zucchini to turkey burgers is an excellent way to get in an extra serving of hidden veggies. Mix ground turkey, egg, and zucchini in large bowl. Shape into patties and set aside. Place olive oil in pan; then add turkey patties. Cook turkey patties on medium heat until brown and juices run clear instead of pink. Place cooked burger on bun with salt to taste, ketchup (optional), sliced pickles (optional), lettuce (optional), and cheese if desired. Serve with sweet potato fries or smiley-face fries, and carrot sticks. 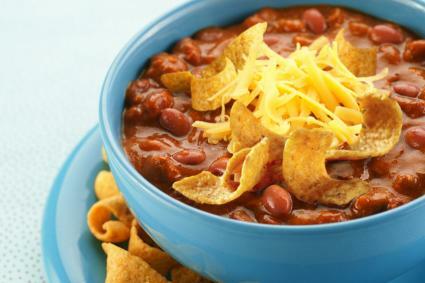 Adding corn chips to chili is an excellent way to get kids to eat this nutritious recipe. Plus, kids will love that this version isn't spicy like some versions. A small green salad with a kid-friendly healthy dressing, like ranch, would be an easy side. Brown ground beef (or turkey) in a sauté pan on medium-high heat until fully cooked. Place cooked meat and all other ingredients except for the chips, avocado, and cheese, in the slow cooker and mix well. Top each serving of chili with diced avocados and corn chips. Add shredded cheese if desired. Most kids will enjoy the sweet taste of this teriyaki chicken recipe, along with the novelty of eating their dinner off a skewer. It's easy to make, and an excellent substitute for chicken nuggets. Place chicken and vegetables in a large bowl. Pour teriyaki marinade in bowl and stir well; soak for 45 minutes. 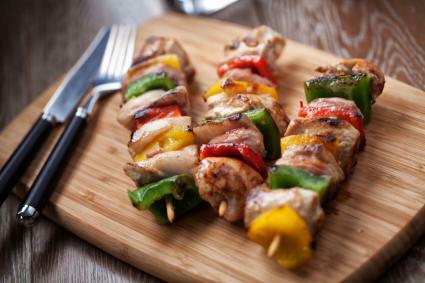 Push chicken and vegetables on skewers, alternating as desired, with about four pieces of chicken on each. Place skewers on baking sheet. Cook in a preheated oven at 350 degrees for about 20 minutes. 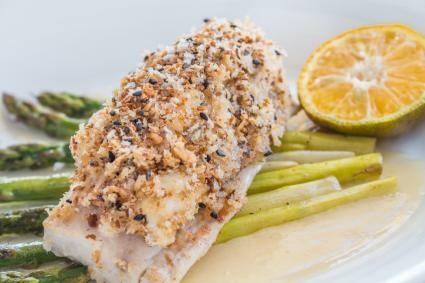 It's hard for kids to turn down fish fillets when they are encrusted with chips! This recipe is sure to be a hit for children of all ages. Place cod on a greased baking sheet. Top each fillet with 1/2 teaspoon of mayonnaise. Crush chips, and place on top of each fillet. Serve with red potatoes and fresh asparagus. Changing up your child's menu regularly is a must to meet daily nutritional needs. Luckily, numerous kid-friendly dinner ideas will make excellent replacements for chicken nuggets.